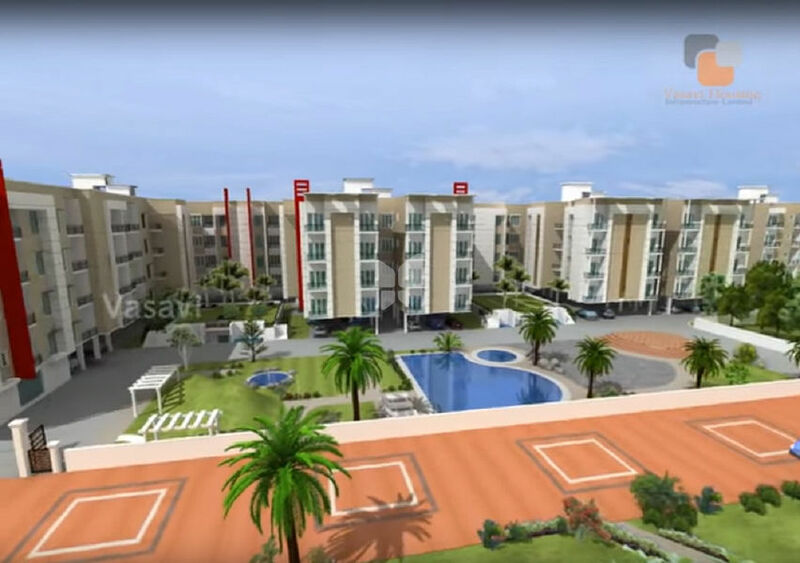 How Far is Vasavi Housing Majestica Phase - I? "Vasavi Housing Majestica Phase 1 has premium range of apartments with a well planned structure. Adheres to high standard of urban living and designed to effectively use the available area. Each apartment is carefully designed to ensure you get the best of everything, beautiful interiors, ample ventilation, top class amenities, high quality fittings and sophisticated accessories." R.C.C. framed structure with 8" solid block plastered with cement mortar for external walls, 4" thick solid block for inner partition walls. Main Door frames will be of Teak Wood. Other door frames will be of Country wood. The Main Door shutter will be of skin door with varnish finish and the other room doors will be of flush shutter with enamel paint finish. Openable Aluminium windows with MS grills. Polished Granite cooking counter and Stainless Steel Sink with drain board will be provided. Ceramic tiles dado will be provided up to 2' above the Kitchen counter. Flooring with Antiskid tiles. Best quality tiles for bath room walls up to 7 feet height and Antiskid tiles for flooring. Sanitary fittings of Parry-ware make or equivalent and CP fittings of Metro or equivalent. The internal walls of all rooms by Altec putty with acrylic emulsion paint finish. The external walls shall be painted with Weather proofing coat. Modular switches of MK India make or Equivalent. Bore wells will be provided for Water and adequate capacity UG sump and Over-head tank. Required capacity DG will be provided to support common lights and lifts. Note : Any additions other than specified in the above specification will be provided at extra cost.